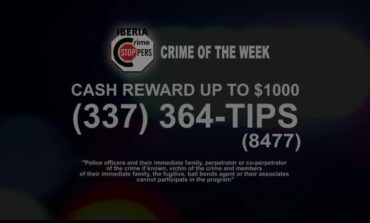 January 3rd, 2019 Here's a look at Iberia Parish Crime Stoppers crime of the week. December 29th, 2018 Take a look at Iberia Parish Crime Stoppers crime of the week. December 20th, 2018 Here's a look at Iberia Parish Crime Stoppers crime of the week. December 13th, 2018 Iberia Parish Crime Stoppers need your help solving this crime. December 6th, 2018 Here's a look at Iberia Parish Crime Stoppers crime of the week. December 3rd, 2018 Here are some tips to help keep you safe during this holiday shopping season. November 27th, 2018 Iberia Parish Crime Stoppers need your help solving this crime. 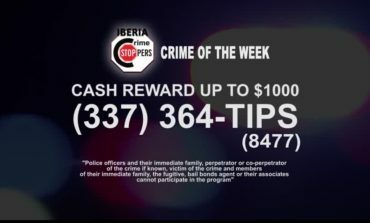 November 21st, 2018 Here's a look at Iberia Parish Crime stoppers.